All Communist systems in the West are in fact derived from Christian theological thought. … Christianity is the grandmother of Bolshevism. This alone makes Christianity one of the most destructive forces in world history. But how is this even possible? Equality is such a fundamental aspect of the church's "kerygma" that if it were removed the entire ideological structure of Christian orthodoxy would collapse like a house of cards. The "catholicity" of the church signifies that membership in the body of Christ is open to all men, regardless of ethno-linguistic or socio-economic differences. Salvation, because it is equally available to all, means that all men possess the same innate capacity to achieve it. There is also universal equality in sinful depravity, as well as in the possession of unmerited divine grace. Jesus' commandment to love one's neighbor as oneself is merely the application of universalist and egalitarian principles to human social life. In the New Testament, believers are asked to serve one another, with the aim of achieving social equality within an ecclesiastical setting. Assimilation of Platonic idealism by Ante-Nicene theologians added a metaphysical dimension to the egalitarian pronouncements of the New Testament. When God created man, he imparted the breath of life through his nostrils. This "breath," psyche, or anima, translated "soul," served as the life-principle of the animate body. The equality of souls before god obtains because all bear the same imago dei or image of god. In the Garden of Eden, man lived in circumstances of natural equality. St. Augustine writes that before the Fall, no one exercised dominion or lordship over anyone else, but that all ruled equally and indifferently over the inferior creation. The natural equality that once existed in this mythical prehistory was lost because of sin, which corrupted human nature. This brought slavery and other inequalities into the world. The church believed that the kingdom of god would restore Edenic conditions at the end of time. To the Ante-Nicene church, belief in spiritual equality was not some ossified formula to be recited by rote like the Apostle's Creed, but an ever-present reality with real-world, "anticipatory" consequences. Gospel narratives that incorporated elements of primitive communism were received favorably by the church and declared canonical. In Luke 3, John the Baptist, a member of the communist Essenes, exhorts his followers to share their clothing and food with those who are destitute. The communist pronouncements of John foreshadow the more explicit primitive communism of Jesus. In Luke 4, Jesus begins his ministry by inaugurating an acceptable "year of the Lord's favor." This is a direct reference to the Hebrew Jubilee, which came every fifty years after the completion of seven sabbatical cycles. The proclamation of Jubilee signified manumission of slaves, absolution of debt, redistribution of property, and common ownership of the land's natural produce. According to Leviticus, no one owned the land, except YHWH; only its usufruct could be purchased. This was not a literal year of Jubilee inaugurated by Jesus. The passages being quoted in Luke are from Isaiah, not Leviticus which contains the actual Hebrew legislation. The imagery associated with the Jubilee is used to describe the realized eschatological features of the new age inaugurated by the coming Messiah. His return symbolizes the complete reversal of the old order. The new age will bring about communistic social relations through the ethical transformation of believers. From a biblical hermeneutic standpoint, the Torah Jubilee foreshadows the greater Jubilee now realized in Jesus' ministry. Jesus' economic teachings go far beyond Levitical communal sharing. They necessitate large-scale re-organization of society along egalitarian and communist lines. In Luke 6, Jesus commands his audience to give to all those who beg from them, without distinction as to friend or enemy. His condemnation of violent retaliation is closely linked to this ethic of universal sharing; the communist social arrangement envisaged by Jesus cannot flourish in an atmosphere of violence and suspicion. The eschatological age inaugurated by the Messiah is one where lending without expectation of financial reward has become a new moral obligation, one that must be carried out if one wishes to obtain treasure in heaven. In the Ante-Nicene church, fellowship was not only spiritual, but included mutual aid in the form of concrete material and economic assistance. The canonical epistle of James defines true religion as caring for "orphans and widows," an ancient Hebrew idiom for the economically disadvantaged. Those who favor the rich over the poor, instead of treating both equally, are sinners in need of repentance. They have transgressed Jesus' great commandment to "love thy neighbor as thyself." James says that "faith without works is dead." What do these "works" consist of? We are informed that true faith is shown by those who feed and clothe the wretched of the earth. If one refuses to do this, one's very identity as a Christian is placed in jeopardy. In 2 Corinthians, Paul provides additional theological justification for early Christian communist practice using the "kenosis" of Christ as a reference point. Christians were expected to follow the example of Jesus, who was "rich" in his pre-existent state, but willingly "impoverished" himself so that believers could become "rich" through his "poverty." This meant that wealthier Christian communities were morally obligated to share their abundance of riches with poorer ones. The purpose of re-distributing wealth from one Christian community to another, writes Paul, was the achievement of economic equality between believers. The apostolic identification of "true faith" with material re-distribution led to the establishment of the world's first welfare system and centrally planned domestic economy. While some form of primitive communism existed before the institutionalized Christian communistic practices of the first three centuries AD, these were reserved for small communities of Greek-speaking intellectuals or Jewish religious fanatics. What made Christian communism unique was its moral universalism and non-ethnocentric orientation. Given the egalitarian thrust of early Christian communist ideology, it should come as no surprise that the central organizing principle of classical Marxist economics, "From each according to his ability, to each according to his need," was lifted verbatim from the pages of the New Testament. 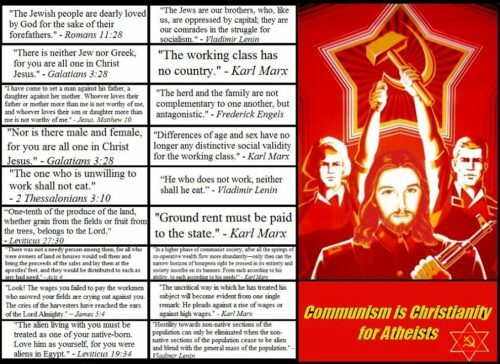 Marxism-Leninism, a murderous 20th century ideology that led to the deaths of over 100 million individuals worldwide, was directly inspired by the ethical pronouncements of the New Testament. This is a source of great embarrassment to the Christian religionist. In defense, apologists emphasize the voluntary nature of communist practice in early Christianity. Yet this apologetical evasion is clearly anachronistic. Freedom defined as the ability to choose in the absence of external coercion is a uniquely modern idea inherited from post-Enlightenment philosophies of liberalism. This idea of freedom affirms the sovereign will as one obedient to itself, but also reducible to the basic laws of the free market. However, this understanding of freedom is diametrically opposed to the one encountered in the ancient Greek philosophical tradition. In this context, there is no sharp distinction between voluntary action and involuntary obligation; individuals are not conceptualized as autonomous agents with a multitude of options to choose from. Instead, freedom is the ability to pursue the Good without impediment; only a properly functioning will, in which the subject has fully realized his true essence, can do this. To do evil goes against the proper functioning of the will; it is not an expression of one's individual capacity for freedom. No one willingly or voluntarily refuses to pursue the Good; rather, they lack sufficient moral training or the appropriate self-restraint. The Christian in the ancient world was free to not worship or consume meat sacrificed to idols; he was not free to do the opposite because he was no longer pursuing the Good. A Christian who violated the prohibition against idolatry was not legitimately exercising his capacity for free will, even though the prohibition had been violated in the absence of external coercion. Instead, such an action was the result of moral ignorance or error. The same could be said of the early Christian practice of communism. This was only "voluntary" in the sense that Christians were freely pursuing a morally acceptable outcome. If freedom is pursuit of the Good without obstruction, Christians were morally obligated to participate in the communist socio-economic practices of the church, otherwise they would not be considered righteous before god. The "anticipatory" consequences of spiritual equality meant social and economic equality for the church, leading to the establishment of formal communism in the early Christian communities. This was not just philanthropy, but a highly organized social welfare system that maximized the redistribution of wealth. Early Christian communism was widespread and lasted for centuries, crossing both geographical and ethno-cultural boundaries. The communist practices of the ante-Nicene church were rooted in the Jesus tradition of the 1st century. The existence of early Christian communism is well-attested by the Ante-Nicene fathers and contemporary pagans. After Christianity became the official state religion, the church became increasingly hierarchical as ecclesiastical functions were merged with those of imperial bureaucracy. The communist socio-economic practices of the early church were abandoned by medieval Christians. This was replaced by a view of inequality as static, the result of a "great chain of being" that ranked things from lowest to highest. The great chain was used by theologians to justify cosmologically the rigidly stratified social order that had emerged from the ashes of the old Roman world. It added a veneer of ideological legitimacy to the feudal system in Europe. In the great chain, Christ's vicar, the pope, was stationed at the top, followed by European monarchs, clergy, nobility and, at the very bottom, landless peasantry. This entailed a view of spiritual equality as "antipathetic." St. Thomas Aquinas provided further justification for inequality along narrowly teleological lines. In the Summa Contra Gentiles, diversity and variety in creation reflect the harmonious order established by god. If the universe only contained equal things, only one kind of good would exist and this would detract from the beauty and perfection of creation. The antipathetic view of Christian equality was the dominant one until the Protestant Reformation of the 16th century. Martin Luther's iconic act – the nailing of the 95 Theses to the Wittenberg Castle door in 1517 – began an ecclesiastical crisis of authority that was to have tremendous repercussions for the future of Western history. The pope was no longer the supreme representative of Christ on earth, but an irredeemably corrupt tyrant, who had wantonly cast the church into the wilderness of spiritual oblivion and error. Access to previously unknown works of ancient science and philosophy introduced to an educated public the pagan epistemic values that would pave the way for the Scientific Revolution of the 17th century. The humanist cry of "ad fontes!" was eagerly embraced by Reformers. It allowed them to undermine scholastic hermeneutical principles (i.e. the Quadriga) and the major doctrines of medieval Christianity. The rediscovery of more reliable manuscripts of the Bible served as an important catalyst of the Reformation. Reformed theologians, armed with humanist textual and philological methods, studied the New Testament and the Ante-Nicene fathers in the original languages. This led to a Christian "renaissance," a rediscovery of the early Christian world. Compared to the lax morality and spiritual indifference of late medieval clergy, the first 4 or 5 centuries of the primitive church seemed like a golden age, one that maintained the doctrinal purity of Christian orthodoxy until Pope Gregory I, unencumbered by the gross distortions of scholastic theology and ecclesiastical tradition. Early Christian teachings and practices, forgotten during the Middle Ages, became popular once again among Protestants. Reformers sought to recapture the spirit of primitive Christianity by incorporating egalitarian and majoritarian principles into an early modern ecclesiastical setting. Egalitarian thought was first enunciated in Luther's teaching on the universal priesthood of all believers. In contrast to medieval Christian teaching, which viewed the clergy as members of a spiritual aristocracy, Luther proclaimed all Christians equally priests before god, with each one having the same capacity to preach and minister to fellow believers. On this basis, Luther demanded an end to the differential treatment of clergy and laity under canon law. He also defended the majoritarian principle by challenging the Roman ecclesiastical prerogative of appointing ministers for Christian congregations. Calvin, the other great Reformed leader, acknowledged the real-world consequences of spiritual equality, but approached it from the perspective of universal equality in total depravity. Thomas Müntzer (1489 – 1525) was a radical German preacher and theologian of the early Reformation whose opposition to both Luther and the Roman Catholic Church led to his open defiance of late-feudal authority in central Germany. Protestant radicals viewed the egalitarian policies of the mainstream Reformed churches as fundamentally inadequate; any concrete realization of Christian spiritual equality entailed a large-scale revival of the communistic socio-economic practices of the primitive church. Muntzer, an early disciple of Luther, is representative of this more radical egalitarian version of the gospel. In 1525, a group of religious fanatics, including Muntzer, seized control of Muhlhausen in Thuringia. During their brief rule over the city, they implemented the program of the Eleven Articles, a revolutionary document calling for social justice and the elimination of poverty. Idols were smashed, monks were driven out of their convents and monastic property was seized and redistributed to the poor. From the pulpit, Muntzer delivered fiery sermons ordering his congregation to do away with the "idol" of private property if they wished the "spirit of God" to dwell among them. A leader of the Peasant's War in Germany, he was captured in May of 1525 after his army was defeated at Frankenhausen. He was tortured and then executed, but not before his captors were able to extract the confession: "Omnia sunt communia." Whether the confession represents the exact words of Muntzer is controversial; nevertheless, it accurately reflects Muntzer's anti-materialistic piety and view that the teachings of the gospel were to be implemented in full. The Munster Rebellion of 1534-1535, led by Jan Matthys and Johann of Leiden, was far more extreme in its radicalism. After the Anabaptist seizure of the city, Matthys declared Munster the site of the New Jerusalem. Catholics and Lutherans were then driven from the town, their property confiscated and redistributed to the poor "according to their needs" by deacons who had been carefully selected by Matthys. They set about imposing the primitive communism of the early church upon the town's inhabitants. Money was abolished; personal dwellings were made the public property of all Christian believers; people were forced to cook and eat their food in communal kitchens and dining-halls, in imitation of the early Christian "love feasts." Ominously, Matthys and Johann even ordered the mass burning of all books, except the Bible. This was to symbolize a break with the sinful past and the beginning of a new communist era, like the Year One of the French Revolutionary National Convention. In the fall of 1534, Anabaptist-controlled Munster officially abolished all private property within city limits. But the Anabaptist commune was not to last for long. After a lengthy siege, the Anabaptist ringleaders, including Johann of Leiden, were captured, tortured and then executed by the Bishop of Munster. The Diggers (or "True Levellers") and the Levellers (or "Agitators"), active during the English Civil Wars (1642-1651) and the Protectorate (1653-1659), were strongly influenced by primitive Christian teaching. The Diggers, founded by Gerard Winstanley, were inspired by the communist socio-economic practices of the early Christians. They tried to establish agrarian communism in England, but were opposed in this endeavor, often violently, by wealthy farmers and local government officials who dismissed them as atheists and libertines. 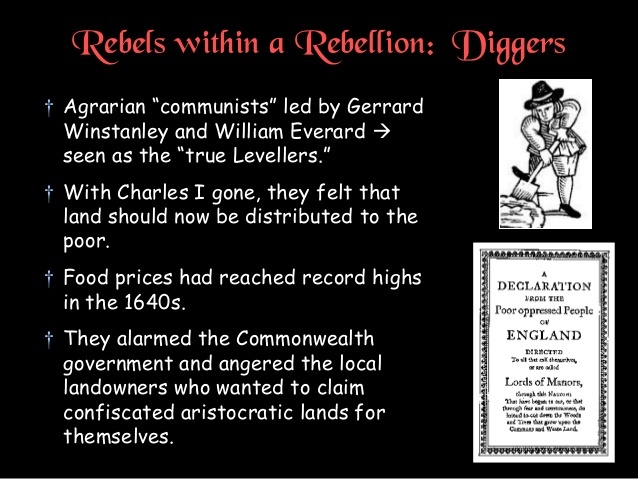 The more influential Levellers, a radical Puritan faction, tried to thoroughly democratize England by introducing policies of religious toleration and universal male suffrage. Their rejection of the arbitrary monarchical power of King Charles I in favor of egalitarian democracy was ultimately informed by Christian theological premises. Prominent Levellers like "Freeborn" John Lilburne argued for democratic egalitarian principles based on their exegetical interpretation of the Book of Genesis. All men were created equal, they said, with no one having more power, dignity and authority than anyone else in the Garden of Eden. Since no man had the right to exercise authority over others, only popular sovereignty could legitimately serve as the underlying basis of civil government. Many Leveller proposals, as written down in the Agreement of the People, were incorporated into the English Bill of Rights of 1689. This document later influenced the American Bill of Rights of 1791. John Locke was the founder of modern liberalism, a political tradition soaked in Christian religious dogma. He drew many social and political implications from Christian spiritual equality. His belief in equality was rooted in the firm conviction that all men were created in the image of god, making them equal by nature. Church fathers and medieval theologians had long argued that all men, whether slave or free, were "by nature equal," but that social inequality among men was god's punishment for sin. John Locke agreed with the patristic and medieval authors on natural equality but repudiated their use of original sin to justify the passive acceptance of human social and economic inequality. Like the Protestant reformers before him, he believed that spiritual equality was not merely eschatological, but entailed certain real-world implications of far-reaching political significance. Locke's argument for universal equality was derived from a careful historical and exegetical interpretation of the biblical narrative. The creation of man in god's image had enormous ramifications for his political theory, especially as it concerns his views on the nature of civil government and the scope of its authority. From his reading of Genesis, Locke argued that no man had the right to dominate and exploit other members of the human species. Man was created by god to exercise dominion over the animal kingdom. Unlike animals, who are by nature inferior, there can be no subjection among humans because their species-membership bears the imprint of an "omnipotent and infinitely wise maker." This meant that all men are born naturally free and independent. Locke's view of universal equality further entailed the "possession of the same faculties" by all men. Although men differed in terms of gross intellectual endowment, they all possessed a low-level intellectual ability that allowed them to manipulate abstract ideas and logically reason out the existence of a supreme being. In Locke's view, all government authority must be based on the consent of the electorate. This was an extension of his belief in mankind's natural equality. Any abuse of power by elected representatives, when all judicial and political avenues of redress had been exhausted, was to be remedied by armed revolution. This would restore men to the original liberty they had in the Garden of Eden. Freedom from tyranny would allow them to elect a government that was more consonant with the will of the people. Locke's theory of natural rights was based on biblical notions of an idyllic prehistory in the Garden of Eden. Contrary to monarchical theorists like Filmer, man's earliest social organization was not a hierarchical one, but egalitarian and democratic. If all men were created equal, no one had the right to deprive any man of life, liberty and private property. In Lockean political philosophy, rights are essentially moral obligations with Christian religious overtones. If men were obliged to surrender certain natural rights to the civil government, it was only because they were better administered collectively for the general welfare. Those rights that could not be surrendered were considered basic liberties, like the right to life and private property. Early modern Christian writers envisioned in detail what an ideal communist society would look like and how it would function. The earliest communist literature emerged from within a Christian religious context. A famous example is Thomas More's Utopia, written in 1516, which owes more to patristic ideals of communism and monastic egalitarian practice than Plato's Republic. Another explicitly communist work is the Dominican friar Tommaso Campanella's 1602 book City of the Sun. These works form an important bridge between pre-modern Christian communism and the "utopian" and "scientific" socialism of the 19th century. For the first time in history, these writings provided an in-depth critique of the socio-economic conditions of contemporary European society, indicating that only through implementation of a communist system would it be possible to fully realize the humanist ideals of the Renaissance. They went beyond communalization of property within isolated patriarchal communities to envisage the transformation of large-scale political units into unified economic organisms. These would be characterized by social ownership and democratic control. Implicit in these writings was the assumption that only the power of the state could bring about a just and humanitarian social order. "Utopian" or pre-Marxian socialism was an important stage in the development of modern leftist ideology. Its major exponents, Blanc, Cabet, Fourier, Saint-Simon and Owen, were either devout Christians or men profoundly influenced by the socio-economic and ethical teachings of primitive Christianity. They often viewed Jesus of Nazareth as a great socialist leader. 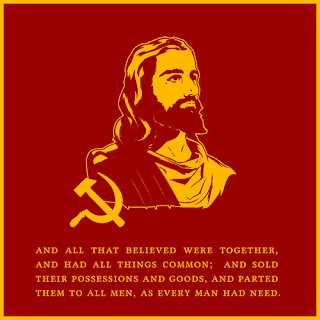 They typically believed that their version of communism was a faithful realization of Jesus' evangelical message. In the pre-Marxian vision, the primitive communism of the early Christian church was an ideal to be embraced and imitated. Many of these writers even defended their communist beliefs through extensive quotation from the New Testament. Louis Blanc saw Jesus Christ as the "sublime master of all socialists" and socialism as the "gospel in action." Etienne Cabet, the founder of the Icarian movement, equated true Christianity with communism. If Icarianism was the earthly realization of Jesus' vision of a coming kingdom of god, it was imperative that all communists "admire, love and invoke Jesus Christ and his doctrine." Charles Fourier, an early founder of modern socialism, viewed Jesus Christ and Isaac Newton as the two most important figures in the formative development of his belief-system. He grounded his socialist ideology squarely within the Christian tradition. As the only true follower of Jesus Christ, Fourier was sent to earth as the "Comforter" of John 14:26, the "Messiah of Reason" who would rehabilitate all mankind along socialist industrial lines. Henri de Saint-Simon, another important founder of modern socialism, believed the true gospel of Christ to be one of humility and equality. He advocated a "New Christianity" that would realize the practical and economic implications of the just world order preached by Jesus. 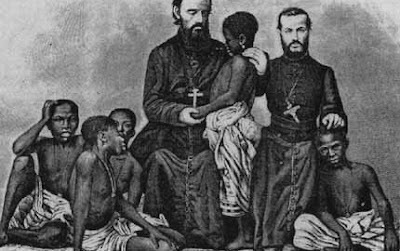 Saint-Simon was also an early precursor of the Social Gospel movement, which sought to ameliorate social pathology through application of Christian ethical principles. The early Welsh founder of modern socialism, Robert Owen, although hostile to organized Christianity and other established religions, regarded his version of socialism as "true and genuine Christianity, freed from the errors that had been attached to it." Only through the practice of socialism would the "invaluable precepts of the Gospel" be fully realized in contemporary industrial society. The earliest pioneers of socialism, all of whom maintained socio-economic views grounded upon Christian religious principles, exercised a profound and lasting influence on Marx. His neo-Christian religious beliefs must be regarded as the only real historical successor of orthodox Christianity, largely because his ideology led to the implementation of Christian socio-economic teachings on a scale hitherto unimaginable. 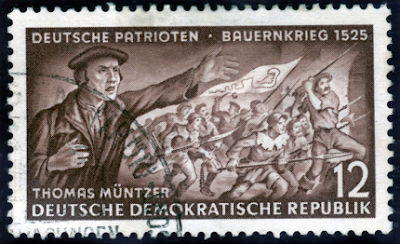 Muntzer, the radical Anabaptists and other Christian communists are considered important predecessors of the modern socialist movements of the 19th and 20th centuries. For example, in Friedrich Engels' short monograph The Peasant War in Germany, Muntzer is immortalized as the man whose religious and political views were way ahead of his times. He even possessed a far more sophisticated "theoretical equipment" than the many communist movements of Engels' own day. the fundamental spiritual equality of all human beings before god. a fundamental "equality" of access to a common storehouse of agricultural produce and manufactured goods. The numerous similarities between Christian communism and Marxism are too striking to be mere coincidence. 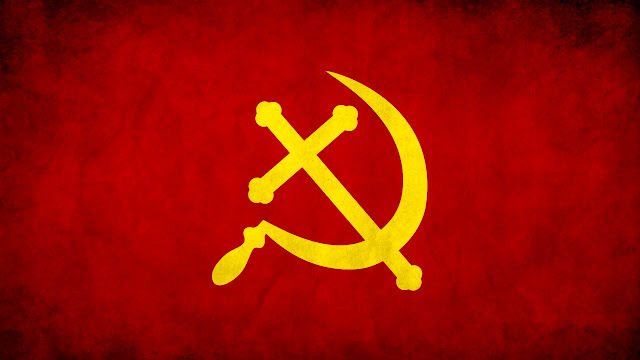 Without the dominant influence of Christianity, the rise of modern communism and socialism would have been impossible. The Protestant Reformation of the 16th century links the socio-economic egalitarianism of the early Christian communities with the socio-economic egalitarianism of the modern West. As a religious mass movement beginning in late medieval times, it profoundly affected the course of Western civilization. The Reformation played an instrumental role in the initial formulation and spread of liberal and socialist forms of egalitarian thought that now serve as the dominant state religions of the modern Western "democracies." Without Luther and the mass upheaval that followed in his wake, Christian spiritual equality would have remained an eschatological fact with no direct bearing on the modern secular world. Spengler's observation that "Christian theology is the grandmother of Bolshevism" is a truism. All forms of Western communism are grounded in the Christian tradition. The same applies to liberal egalitarian thought, which was also formulated within a Christian religious milieu. Karl Marx, chief interpreter of the "Protestant Aquinas"
Marxist ideology is neither rationally explicable nor empirically verifiable. This means that Marxism is not subject to revision when its prophecies fail to materialize, or its cardinal doctrines are disproven; instead, like the Christian religionist, the Marxist ideologue is forced to engage in mind-numbing apologetics to maintain a thin veneer of ideological respectability. Despite claims of being "scientific," Marxism requires a rigid doctrinal orthodoxy that demands excommunication of heretics who deviate from the established creed. Marxism is, in fact, a neo-Christian religious cult with its own prophets, saviors, holy books, holy days, and holy sites, as well as sacred rituals and devotional music. Marxism shares the same basic doctrines as Christianity, albeit in materialist garb. The Garden of Eden finds its Marxist counterpart in the egalitarian social arrangement preceding the rise of civilization. The Fall from paradise occurs with Adam and Eve's disobedience; in the Marxist worldview, the Fall occurs with the introduction of the division of labor. In Christianity, there is the devil; in Marxism, the villain is the capitalist. Marx's historical materialism is merely the eschatological framework of Christian orthodoxy in secularized form. In Christianity, god works through history to redeem the elect. This leads to an apocalyptic showdown between the forces of good and evil, the millennial reign of Christ, and the re-establishment of utopian conditions on earth. The same teleological view of history is found in Marxist ideology. The internal contradictions within the flow of capital resolve themselves in favor of proletarian liberation from capitalist exploitation. The continuous valorization and concentration of financial resources in the hands of the capitalist, combined with the "immiseration" of the proletariat, generate apocalyptic conditions or "revolution." This leads to the overthrow of the capitalists, seizure of the means of production, dictatorship of the proletariat and finally, the establishment of communist paradise at the end of history. Marx's vision of history is so deeply rooted in Christianity that his philosophy would be more accurately classified as a branch of liberal Protestantism. This would situate Marx within a Christian theological tradition beginning with the Jew Saul of Tarsus. Even Marx's atheism does not exclude him from the Christian tradition; the dialectic in Marx's philosophy of history possesses the same function as the triune godhead of Christianity; both are abstract agencies whose purpose is to bring the salvation plan of history to its final consummation in apocalyptic conflict, returning all humanity to an imagined golden age that once existed in the remote past. Marx, like the primitive Christians and their Reformed inheritors, takes the anticipatory view of human spiritual equality to its final logical conclusion. From whence does Marxism acquire its character as a secularized version of the Christian gospel? The philosophical method of dialectical materialism, the cornerstone upon which the entire edifice of "scientific" socialism was constructed, is derived from Hegel's use of dialectic in Phenomenology of Spirit. Hegel, called the "Protestant Aquinas" because of his systematization and unification of a wide variety of topics in philosophy and Christian theology, first conceived of dialectic in his early theological writings. According to the philological and historical evidence, Hegel, after having spent years immersing himself in St. Paul's Letters as a Protestant seminarian, appropriated the term Aufhebung from Luther's commentary on Romans. This was Luther's translation of the messianic term katargesis in the Pauline epistles. Hegel made the term the fundamental axis of his dialectic because Luther's use of Aufhebung had the double meaning of abolishing and conserving, like its koine Greek equivalent katargesis. Of greater significance is Hegel's use of Protestant trinitarian theology to elucidate the underlying structure of objective reality. For Hegel, the Absolute is the complete totality of everything in existence; if this is considered as a unity, the Absolute is god, or the self-consciousness of the universe. The world of sense and experience is necessarily triadic because, as Absolute Mind, it reflects the trinitarian structure of the Christian godhead. This makes everything in the known universe amenable to rational explanation. "Mystery" has no place in Hegel's version of Protestant theology because faith has been replaced with knowledge. Hegel's logical system is divided into three parts, each corresponding to the three persons of the trinity: I. Logic II. Nature III. Spirit. These are each further subdivided into three more categories and so on, reflecting Hegel's belief that any systematization of philosophical and theological knowledge must faithfully mirror the underlying triadic structure of objective reality to achieve some degree of rational coherence. Even Hegel's dialectical method, the cornerstone of his philosophy, is triadic in structure. The dialectic has three "moments": (1.) a moment of fixity; (2.) a dialectical or negatively rational moment and; (3.) a speculative or positively rational moment. In Hegel's dialectic triad, a fixed concept (first moment) becomes unstable because of a one-sided or restrictive character (second moment). In the process of "sublation" (or Aufhebung), the concept of the first moment is overcome and preserved, but an inherent instability within the concept leads to the creation of its direct opposite. In the third moment, a higher rational unity emerges from the negation of the original negation. Hegel's teleological vision of the historical process unfolds according to this three-stage dialectical process of contradiction, sublation and unity of opposites. This system is by no means strictly deterministic; in Hegel's view of history, the trinitarian god is revealed as transcendent in the dynamic relationship between historical necessity and contingency, which subsist as overarching unity on a higher rational plane of existence. Without this crucial ingredient of contingency, the telos of history would remain outside humanity's grasp, frustrating the divine plan of a trinitarian god who reveals himself through the logic of the historical dialectic. The Hegelian telos is the universal self-realization of freedom through the historical development of man's consciousness of the divine, attaining its highest stage of fulfillment in the elimination of all Christian "mysteries" through complete rational self-knowledge of god. Given the role of freedom in this dialectical view of history, the pivotal significance of the Protestant Reformation for Hegel is easily comprehended. Luther's iconic enunciation of the doctrine of universal priesthood, combined with his repudiation of medieval ecclesiastical authority, meant that freedom was on the threshold of achieving full actualization within the historical process as a universal phenomenon, bringing us further toward the telos of history in modern times. Like St. Augustine's linear view of history in City of God, Hegel's view is also fundamentally Christian, permeated by the eschatological and soteriological elements of Protestant orthodoxy. The central miracle of Christianity, the Incarnation or Logos made flesh, is further reflected in the unfolding of the historical dialectic. The dialectical overcoming of particularity and universality, finite and infinite at the end of history, when man achieves rational self-knowledge of the absolute, is patterned on the Incarnation, or the dialectical overcoming of the opposition between god and man. The self-manifestation of god in the historical process makes man co-agent in the divine plan of post-historical redemption. This occurs despite man's alienation and estrangement from god. The "unhappy consciousness," yearning for god, finally becomes aware of his individual co-agency in god's plan of universal salvation and achieves liberation from despair. This realization, which is really a collective one, ushers in the end of history by ensuring man's salvation through the establishment of god's kingdom on earth. For Marx, the Hegelian dialectic suffered from an internal contradiction. The logic of dialectic presented human history as an evolutionary process, one of constant motion and change, with no final, absolute form. Yet paradoxically, the laws of dialectic that structured historical development within Hegel's idealist system were absolutes in a system that was itself final and absolute. How was this contradiction to be resolved? "With [Hegel]," Marx wrote in Das Kapital, "[the dialectic] is standing on its head. It must be inverted, in order to discover the rational kernel within the mystical shell." Inversion of Hegel's speculative idealism resolves this internal contradiction by recasting the logic of evolution as an open-ended process. The materialist dialectic replaces the idealist teleological-conceptual framework of Hegel's system with an evolutionary form of human social and biological development. Nothing is absolute in Marx's system, except the need for continuous dialectical progression through contradiction and unity of opposites. If all substantial being is relative and transitory, it follows that the laws of dialectic can only be applied to it in a relative fashion. If evolution is a continuous and open-ended process, no idealist resolution of its objective material contradictions is possible without fetishizing them as part of some hermetically sealed, closed system. Thus, Marx's inversion of the dialectic rescued it from Hegel's absolute Christian idealist framework, giving it a thoroughly natural, anthropological foundation within an evolutionary materialist framework. With a materialized dialectic, Marx was able to formulate a philosophical methodology that could analyze capitalist economic relations from a scientific perspective. The eschatological conceptualization of history as both linear and teleological is a uniquely Judeo-Christian "contribution" to Western culture. This replaced the earlier Greek view of history as a cyclical process. Hegel translated the eschatological framework of Lutheran Protestant theology into a well-organized philosophical system. The laws of dialectic were simply contradictions within the Christian narrative of redemption. The Marxist theory of historical materialism assimilated this Christian eschatological framework, in "demystified" and rational form, precisely because its philosophical methodology incorporated Hegel's dialectic as the motor force of historical development. Thus, we have primitive communism for the Garden of Eden, capitalist oppressors for the devil, man's self-alienation for the effects of original sin, a classless society for the kingdom of god and so forth. In Marx's secularized Protestant theology, historical evolution proceeds by way of class conflict, leading to proletarian emancipation and communist paradise. In Hegel, man achieves rational self-knowledge of god, whereas for Marx, man achieves rational self-knowledge of himself at history's end, which is really the beginning of man's "true" history according to the Marxist plan of salvation. Marx's philosophy, when stripped of all socio-economic elements, is the trinitarian and Christological dimension of Hegel's speculative Protestant rationalism in materialist form. The eschatological and soteriological framework of orthodox Christianity remains intact, although secularized and inverted. Like every good Protestant, Marx acknowledged the influence of the Reformation upon his own ideas, tracing his revolutionary pedigree through Hegel to the renegade monk Luther. The global dissemination of Marxism has revealed Karl Marx as one of the most influential Christian theologians after St. Paul. This neo-Christianity is potentially even more destructive than the patristic Christianity that nearly destroyed the Western civilization of late antiquity. Economic Marxism has killed an estimated 100 million people in the 20th century; if trends continue, cultural Marxism will lead to the civilizational and cultural extinction of the West. Just how destructive is Christianity? Christianity maximizes the survival and reproduction of the genetically unfit at the expense of society's more productive members. It promotes the mass invasion of the West by foreigners of low genetic quality, especially from the Third World. By lowering collective IQ, Christianity has accelerated Western civilizational decline. Neo-Christianity, in the form of liberalism and cultural Marxism, has inherited the orthodox Christian high regard for the genetically unfit. Christians and neo-Christians have even provided the necessary economic and political means, i.e. welfare statism and human rights, for ensuring that the genetically unfit breed large numbers of offspring with each passing generation. This has created an "idiocracy," one that threatens the sustainability of all Western institutions. With each passing year, an enormous fiscal burden is imposed on the state for the support and daily maintenance of this growing class of dependents. The Christian belief in the sacredness or intrinsic worth of all human life means that the religion is best regarded as an inherently anti-eugenic force. This Christian hatred of race improvement has manifested itself throughout European history. Christian monasticism and the priesthood, which removed Europe's most gifted men from the gene pool, helped prolong the Dark Ages by hundreds of years. Christian opposition to eugenics may also be driven by a recognition that actual religious belief is correlated with genetic inferiority. The negative correlation between intelligence and religiosity has been known since the mid-1920's. Recent findings include a 2009 study revealing that atheists have average IQ's 6 points higher than religious believers. This more than exceeds the threshold for statistical significance. The study further explored the relationship between national IQ and disbelief in god, finding a correlation of 0.60. This negative correlation, replicated across multiple studies, is the main reason why Christianity has experienced such explosive growth in the underdeveloped regions of Africa and Latin America. In this context, Christian opposition to eugenics is a defensive maneuver. A more biologically evolved population would abandon Christianity for a more rational belief-system. Christianity may also be a threat to global peace and security. The Roman Catholic Church, the largest Christian denomination in the world at almost 1.3 billion members, is opposed to abortion and all other forms of contraception. Protestants are also against abortion, although many support voluntary contraception. Neo-Christians, which include modern liberals and cultural Marxists, although not opposed to the free availability of abortion and contraception in the West, are opposed to population stabilization and reduction in Third World countries. Although modern research has demonstrated the existence of a significant positive correlation between foreign aid and fertility, Christian organizations continue to actively send aid to Third World countries. The continuous flow of money from the global north to the global south has led to explosive population growth in the developing regions of the world. This problem is most acute in Africa, where the demographic situation has been significantly exacerbated by foreign aid from the liberal governments of developed countries and Christian charities. The population increases through a continuous stream of charitable donation, which places great strain on available resources as the local carrying capacity of the land is exceeded. Competition for scarce resources intensifies, bringing violent conflict in its wake; large-scale famines occur with increasing frequency and severity. The destabilization of entire regions leads to increasing numbers of Africans desperately trying to escape worsening conditions in their own countries, accelerating the destruction of Western civilization through the demographic timebomb of Third World migration. After the West has been utterly destroyed by rampaging migrant hordes, the populations that once survived on Christian charity and foreign aid return to subsistence-level conditions after Malthusian catastrophe. This results in widespread depopulation of Africa south of the Sahara Desert. Like the patristic Christianity that once menaced the world of classical antiquity, the "neo-Christianity" of social welfare liberalism and cultural Marxism threatens to bring about the complete destruction of modern Western civilization. Political doctrines like equality and human rights, forged within a Christian theological context, are now used as tools for the dispossession of Europeans in their own homelands. Not only is neo-Christianity represented by liberal-leftist ideology; it is also an intrinsic element of modern Christian teaching that has rediscovered its primitive Christian roots. All Christian churches, both Protestant and Catholic, support racial egalitarianism; they actively promote the ethnocide of the West through massive and indiscriminate Third World immigration. This resurgent neo-Christianity gathers momentum with each passing decade. Time will only tell whether the neo-Christian recreation of god's kingdom on earth is successful, but the current prognosis for Western civilization remains a bleak one. The multiculturalist state religion was implemented during the cultural revolution of the 1960s. Reversal of course is not possible in this current atmosphere of state-sanctioned political correctness. If the liberal-leftist regimes of the West maintain their grip on power, the dystopian conditions they have socially engineered will continue without interruption into the foreseeable future. The totalitarian nature of multicultural ideology is further reinforced by the systematic brainwashing of Western populations. European civilization is in danger of being permanently eclipsed by the specter of neo-Christian influence, which hangs over the continent like the sword of Damocles. We will always have the Bible and the church, but Western scientific and technological advancement will not be with us forever. It is obvious that Christianity offers nothing but endless misery and suffering for Western man. Unless Christian influence is mitigated, European civilization will find itself submerged in a dark age more long-lasting and calamitous than the one that engulfed Europe after the Christianization of the Latin-speaking West in the 4th century. For the first time in history, Western man must choose between Christianity or the survival of his own civilization. We can only hope that he chooses wisely as the "hour of decision" fast approaches. The world of classical antiquity shone as a lamp in the dark, filled with a youthful vigor that ensured its institutions and ideas would endure long after Greece and Rome ceased to exist as viable political entities. Science and reason were then snuffed out by the darkness that followed in the wake of Christianity. Libraries were destroyed; art treasures were smashed; building in non-perishable materials almost vanished from memory; personal hygiene disappeared; ignorance was considered a virtue; chaos ensued. This was the triumph of Christianity, which nearly wiped out Western civilization. Although Christian power and influence were shattered long ago by the rediscovery of science and reason, neo-Christianity now dominates the West in the form of liberal egalitarianism and cultural Marxism. These philosophies serve as the ideological basis of endless mass Third World immigration and other multiculturalist policies. This neo-Christianity has been imposed on the West by totalitarian liberal-leftist governments. the institutionalization of eugenic practices selecting for such beneficial traits as high intelligence and conscientiousness. In contrast, Christianity undermines group survival by suppressing natural ethnocentric tendencies and maximizing the spread of dysgenic traits. Christianity provides no effective barrier to the cultural and genetic assimilation of Europeans by surrounding non-white populations; for example, during the Spanish and Portuguese colonization of the Americas in the 16th and 17th centuries, the Roman Catholic Church aggressively promoted miscegenation among the conquistadores. Ecclesiastical officials encouraged the European colonists to marry and interbreed with their native Indian and African concubines. This resulted in large-scale demographic genocide, which replaced European genetic homogeneity with mestizaje. That Christianity is a non-ethnocentric ideology based on moral universalism is another serious problem with the religion. Europeans will always champion the interests of hostile outgroups at the expense of fellow Europeans in the name of Christian love and brotherhood. 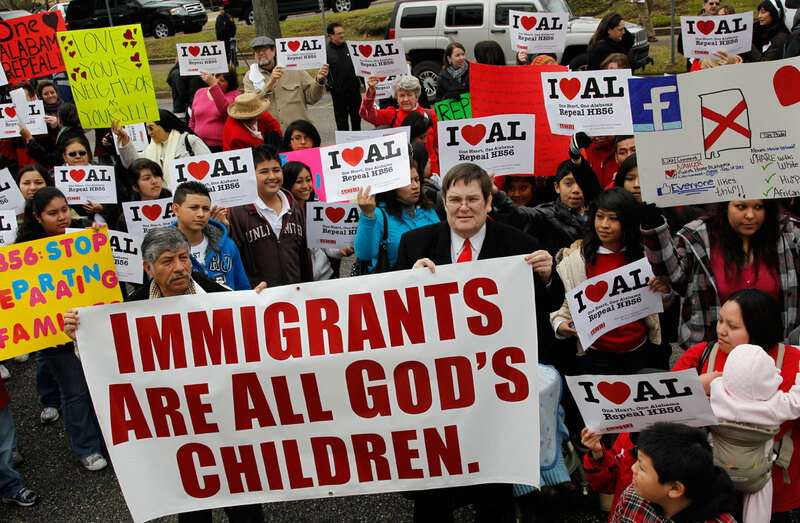 Christianity also opposes the high aggressiveness directed towards outgroup members; instead, believers are expected to practice nonviolence and compassion in the face of demographic replacement. Lastly, Christianity is militantly anti-eugenic, which is why it allows weaklings to survive and reproduce. This has decreased average IQ and the prevalence of other beneficial traits in European societies. In short, Christianity does not function as a group evolutionary strategy for Europeans, but as a recipe for racial and cultural suicide on a massive scale. What is morally right is eugenic, i.e. improves the race biologically; what is morally wrong is dysgenic, i.e. degrades the race biologically. The second class of individuals will be bred for war and the third will consist of industrial and agricultural producers. These correspond to the Aryan kshatriyas and vaishyas or the "silver" and "bronze" castes of Plato's Republic. Since these individuals do not possess the cognitive ability to participate in the highly abstract civil religion of the brahmans, they will worship their distant ancestors as the racial gods of a new religion founded on eugenic principles. Christianity is a religious faith, which means that its influence will not be mitigated through logical argument. The child-like simplicity of Christian dogma is "a feature, not a bug." Without an ability to appeal to the lowest common denominator, Christianity would not have spread as rapidly as it did during the 4th century. An enlightened European humanity, educated in the principles of Darwinian evolution and eugenics, cannot co-exist side by side with the Christian religion. The negative correlation that exists between Christian religiosity and intelligence simply reinforces this conclusion. Christianity is a seemingly intractable problem for primarily eugenic and biological reasons. Although a eugenic approach is clearly needed, other things must be done. If Christian influence is to be mitigated, the influence of all state-sanctioned programs of multicultural indoctrination must be mitigated along with it. The gradual (but obviously humanitarian) phasing out of individuals with IQs below 100 will be carried out as an act of religious devotion among the lower castes. 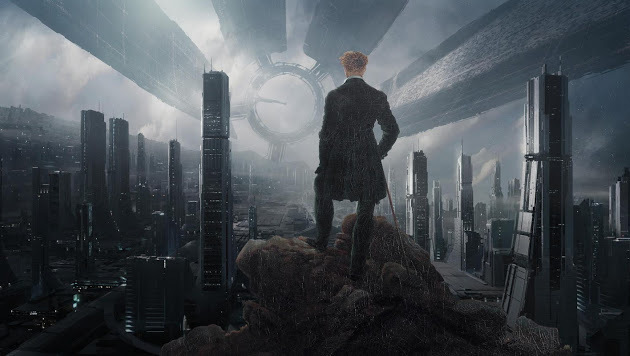 Aryan kshatriyas, the "knights of faith" of the new Aryan race religion, will impose a eugenic regime over the entire globe, repopulating the Third World with highly evolved superorganisms that will turn these former hellholes into terrestrial paradises. Wasting precious material resources caring for less evolved members of the human species will be a thing of the past. Humanity, whose scientific and technological progress stagnated during the late 20th century, will once again resume its upward journey toward the stars. Eugenic breeding will force Europeans to realize the truth of Nietzsche's core insight: Christianity, a transvaluation of all values driven by ressentiment, is a slave morality. It is the revolt of the underman against the aristocratic Indo-European virtues of strength and magnanimity, pride and nobility. By repudiating Christianity, Europeans will become a race of value-creators, once again in charge of their own destinies as they affirm the beauty of life in all its fullness.